As of July 2014 European standards have come into play governing the use of structural steel. 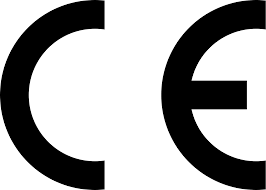 Working under the European Standard EN1090 manufacturing companies must produce CE certified products in a controlled environment. The European Standard EN1090 is achieved by employing qualified and competent staff and utilising defined procedures. In achieving the standard, a company needs to have Factory Production Controls in place eg Material Controls, Inspections, Competent workforce. A Welding Quality Management system also needs to be in place, this includes certified welders and Responsible Welding Co-ordinators. At the end of the process a Declaration of Performance of the product manufactured and CE Label will be issued to the customer. 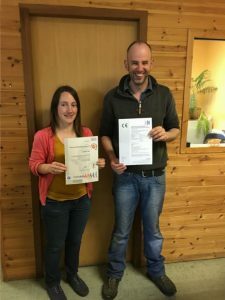 O Donovan Engineering Co Ltd are now CE Certified to EN 1090 – Execution Class 2. We have CE certified welders and Responsible Welding Co-ordinators (RWCs), this ensures our process will maintain a high standard to meet CE Certification needs. Having achieved CE Certification ODEL can now fabricate your secondary structural steel design to CE standard for use in industrial buildings, offices, residential, public & farm structures & buildings. 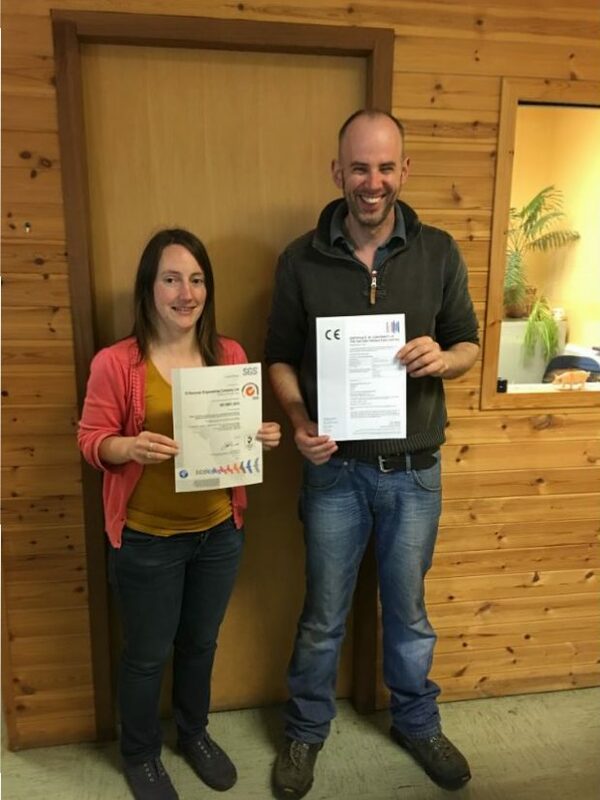 O’ Donovan Engineering would like to thank their diligent staff for their continued hard work to get the company CE certified and to keep our production up to this high standard.